It is widely agreed that 5-10% of children have speech and/or language disorders. Speech and language are often incorrectly thought of as synonyms when in fact they are not. Language is being able to understand what is being said (receptive language) and being able to put words together into cohesive thoughts and the ability to express ones ideas (expressive language). Speech is the actual sounds we make. Expressive language may be intact but a speech disorder may impact ones ability to be understood. Speech and language disorders often coexist however they also occur on their own frequently. Roughly 3 out of 5 speech and language disorders are related to articulation problems, according to the American Speech and Hearing Association (ASHA). When looking at articulation many speech language pathologists will differentiate between “delay” and “disorder”. Many children exhibit “normal” developmental errors in their speech. Some children will have many of these errors while others will have very few. Most of these developmental errors will correct without intervention; however, this is not always the case. Some children will be “delayed” in eliminating developmental errors and will require speech therapy for a short period of time. An articulation “disorder” consists of sounds that are produced “differently” than what would be expected for any age. The cause of the disorder may be functional (Incorrect production of a sound with no known anatomical, physiological or neurological basis) or it may be organic (due to anatomical, physiological, or neurological causes). 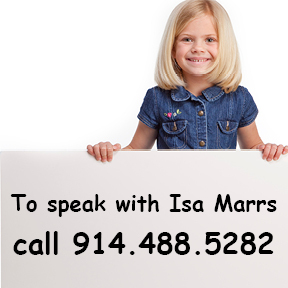 Articulation disorders almost always require speech therapy in order to correct. When looking for speech therapy services for your child there are several options depending on your child’s age and needs. Programs are available through Westchester County such as Early Intervention (birth-3) and CPSE, a 3-5year old program through your school district. After age 5, speech and language services are provided within the school setting. Private therapy is also available for any age group. Qualified, experienced therapists are available in each of these options; however, due to numerous factors such as setting, therapist expertise and group size, the rate of progress varies greatly. Speech language pathologists in schools often need to see children in groups due to the large number of children requiring services. 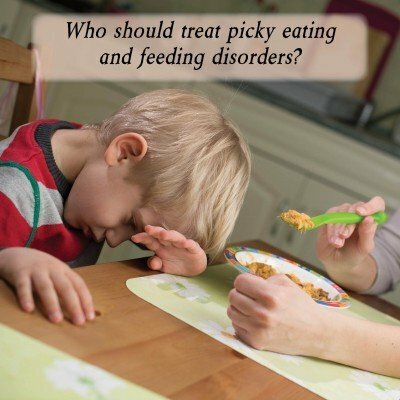 These groups may or may not include children with the same type of speech/language disorder. When several children with numerous goals are in a group it decreases the amount of time in each session for an individual child. According to the National Outcomes Measurement System (NOMS), when looking at children who have articulation disorders only, who received 20-40 hours of therapy, children receiving individual therapy were much more likely to show measurable functional progress in their articulation skills than were those who received group treatment (91%-50% respectively). Having children with speech and/or language disorders can be a long complicated road of questions, choices, and misinformation. While many will say to you “He will grow out of it”, this may or may not be the case. Early detection is the key to success when it comes to an articulation disorder. The less time an incorrect sound or sounds has to become ingrained and habitual the faster therapy will go. The less time a child is self conscious or teased the better their self-esteem will be. The way we sound is a big part of who we are and how others see us. Quality speech and language services provided by a licensed speech language pathologist could make all the difference in the world.